Leading property investment company specialising in a range of property investments. We have been working with Brookes & Co, an established property investment company, since 2005. We are currently working on a series of campaigns to promote their newest development. We have produced a brochure website, allowing clients to view upcoming investment projects. 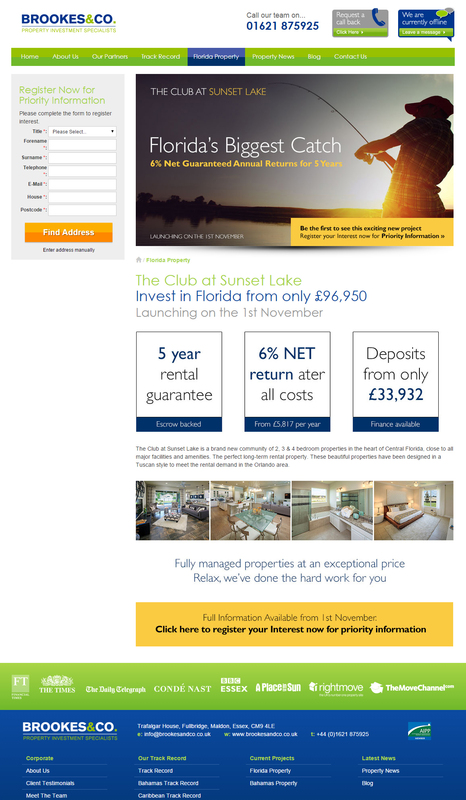 We also manage a regular direct e-mail campaign, going out to over 50,000 potential investors per week.